The following is a review of SchoolhouseTeachers.com with the TOS Homeschool Review Crew. Since it started several years ago, SchoolhouseTeachers.com has consistently been a part of our homeschool. My family is excited to again be reviewing the Yearly Membership from SchoolhouseTeachers.com. My oldest two children (my daughters) have both logged in without me for lessons as well as for teaching tools. (They both teach younger students.) My son has used different components with me and with his Grandmommie. It is used by our whole family! SchoolhouseTeachers.com's NEW SITE is totally AWESOME! Beautiful new look, easier to use and over 300+classes and tutorial videos to help you get started. Join during SchoolhouseTeachers.com's Super Christmas Sale and Save! In mid-January, SchoolhouseTeachers.com is having a price increase. The promotion is to LOCK IN NOW at the $9.95/month rate so that you save 50% on the NEW prices. In about a week and a half this same monthly service will be $19.95/month--approximately twice as much! As a core curriculum or used as we do as a supplement, SchoolhouseTeacher.com can be useful in every homeschool. Foreign language lessons, music, history, math, science, grammar...those are just the tip of the iceberg of what's offered through SchoolhouseTeachers.com. Lessons are simple to access. We login to the SchoolhouseTeachers.com website with our email and password, and then everything offered is automatically accessible. There are a few ways to search the website. Clicking on the QUICK LINKS heading opens a page where every single course offered is listed from A-Z. You can also browse courses offered by subject or by grade. Lessons are offered for students of all ages. Membership at SchoolhouseTeachers.com comes with additional perks, too. 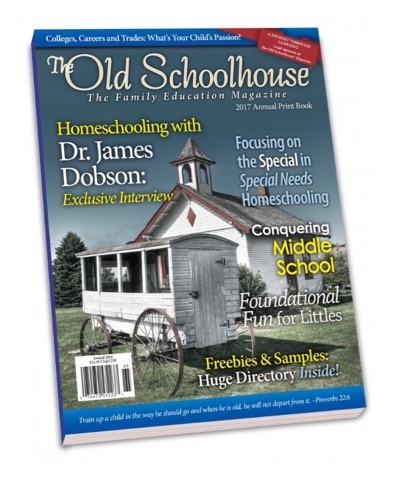 Currently they are offering subscribers the chance to sign up for a free copy of the 2017 Annual Print Issue of The Old Schoolhouse Magazine. Over 300 online classes are offered. Some are in video format with additional worksheets, and some are entirely text. Some components are downloadable and printable. A certificate of completion can be printed after completing most of the courses offered through SchoolhouseTeachers.com. This school year, my mom offered to teach my son science. 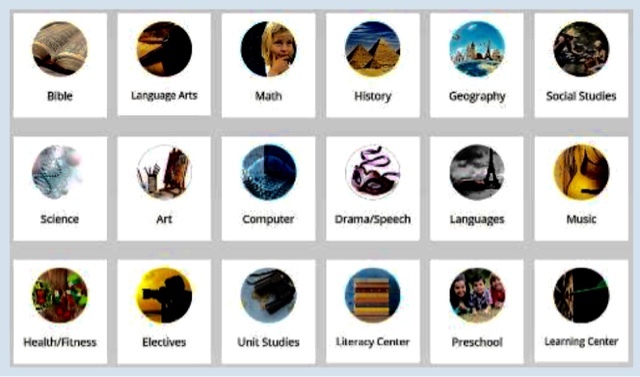 She oftentimes refers to SchoolhouseTeachers.com as she plans each lesson. They have roamed the farm for hands on science and are planning a trip to a nearby wildlife center before the year ends. She teaches new material to him and has him research additional facts before they complete a topic. Her next lesson plan is all about minerals, and I sat with her exploring each lesson for its suitability for her plans using both the quick links and the search feature on the SchoolhouseTeachers.com website. My mom especially likes the printable worksheets. She has pulled resources from the high school and middle school science classes including animal science, biology, botany, and life science. Both of my daughters teach music lessons. My homeschool grad teaches violin. My junior teaches piano. They have both looked through the weekly lessons and printables to enhance their lesson plans. Selections even include music history. My own search of the SchoolhouseTeacher.com website is usually for something specific. With math lessons, for instance, if one of my children is having trouble mastering a specific concept, I like to present it in a different and hopefully easier way.